An article dealing with a uniformity of doctrine in the government of the church. The present age is characterized by attempts after union throughout the churches, while at the same time the idea of uniformity in doctrinal profession and worship is scouted as Utopian and impracticable. It cannot be denied that the divisions of the church are its reproach and weakness and sin. This should be always confessed before God; an earnest, prayerful, persevering efforts should be made to have breaches healed, and to have brethren visibly dwelling in unity—”of one heart and mind, striving together for the faith of the Gospel.” While the desirableness of union is widely felt and confessed—and various plans are laid, and efforts are put forth, to effect it, the thought that it is to be accomplished in the way of uniformity in doctrinal belief, and in government and worship and discipline, is entertained by few; and many who seem eagerly bent on union, openly declare that attempts to secure uniformity are unwarrantable, and that to make them would completely mar their favorite project, and completely disappoint their fondly cherished expectations. 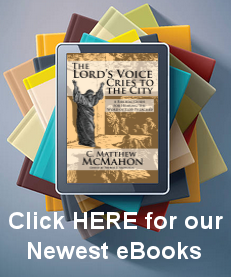 Public statements are frequently made on this subject which are approved and praised by multitudes as remarkably wise; yet which, when carefully considered, will appear to be only the expressions of the wisdom of the world that cometh to naught—which is “foolishness with God.” Thus, on platforms—in meetings of the Evangelical Alliance, and on other occasions, popular speakers are sure to elicit the applause of the audience, who often lay it down as first principles, that union above all things is to be sought—that non essential truths are to be freely set aside—and that it is entirely vain to aim at promoting uniformity. At times a plausible, and it is thought happy illustration is brought forward—of the regiments in the same army being arrayed in different uniforms, and not having the same colors—and so, it is attempted to be shown that different sections of the church may retain still their sectional varieties in doctrinal sentiment, and government, and modes of worship, and yet be closely united, even in external profession, in their warfare against a common enemy. This illustration, for the purpose for which it is adduced, when properly considered, must appear to be wholly inapt and futile. In employing it, it is overlooked that the army has one commander-in-chief—and the strictest fidelity to him is demanded—that his orders are to each separate regiment and company positive and despotic—that the object of the embattled host is one —that the laws of military service are known and unexceptionable, ant that the least violation of them is visited with heavy punishment. The corps of a well-ordered army are welded into a perfect unity—and upon preserving it, and uniformity in purpose and obedience, success in battle is greatly dependent. Sometimes, when florid illustrations are exhausted, we have heard it gravely asserted that God never designed that His people should have the same belief and practice, and that there is reason to think that even in heaven saints made perfect will not be fully uniform in faith and modes of worship! In the “Solemn League and Covenant of the three kingdoms,” which the historian Hetherington justly terms “a document the noblest in its essential nature and principles of all that are recorded among the international transactions of the world,” the subject of uniformity in the doctrine, worship, government, and discipline of the church occupied the foreground. A chief object of convening the Westminster Assembly, was to lay down a broad Scriptural platform on which the churches in the three kingdoms might, in the fullest sense, be one and the same in profession and practice; and the Covenant was framed and taken as an approved and the most efficient means for attaining the desirable object. The First Article in the Covenant states this important object clearly in three particulars—First, to “endeavor sincerely, really, and constantly, through the grace of God, in our several places and callings, the preservation of the reformed religion, in the church of Scotland, in doctrine, worship, discipline, and government, against our common enemies; secondly, the Covenanters bound themselves to seek “the reformation of religion in the kingdoms of England and Ireland, according to the word of God, and the example of the best reformed Churches.” This led to the further solemn vow to endeavor, by all Scriptural means, to extirpate the systems of Popery and Prelacy, as being what they have ever proved to be, most inimical to a true Scriptural uniformity. And thirdly, accordant with the leading idea of genuine reformation, those who take the Covenant engage “to endeavor to bring the churches of God in the three kingdoms to the nearest conjunction and uniformity in religion, confession of faith, form of church government, directory for worship and catechizing;” and this for the great and blessed end—”that we, and our posterity after us may, as brethren, live in faith and love, and the Lord may delight to dwell in the midst of us.” It is thus very apparent that full Scriptural uniformity was a principal object of this sacred confederation; and this was not designed to be limited to the churches of the three kingdoms alone. The noble men who framed the Covenant, and those who were most active in promoting the solemn engagement, expressly avowed that they regarded it as the instrument of a solid basis of union and uniformity for the Protestant churches in all lands. Thus, when several of the Continental churches, having heard of the gracious revival connected with the taking of the Covenant in these lands, offered to unite in the same bond, Alexander Henderson, in one of his public addresses, expressed the strong desire that measures should be forthwith adopted, by sending deputations to the reformed churches on the Continent, for the purpose of engaging them publicly in the act of Covenanting on the basis of the Solemn League. The national troubles, and the unhappy divisions in the church which soon after followed, prevented the carrying out of this noble conception, which, we cannot doubt, would have been of signal benefit to the Protestant churches throughout every European country. It must be completely apparent that all who properly regard the continued moral obligation of the Covenant, are bound never to compromise or repudiate this main article of the sacred bond, but, on the contrary, to labor by all legitimate Scriptural means, to promote a “happy uniformity.” Those are certainly no true Covenanters who concede in the least measure to the popular clamor, and say that “the nearest conjunction and uniformity in religion” is Quixotic and absurd and who do not faithfully testify on its behalf, and aim in practice after accomplishing it. Before adverting to the grounds of belief and confidence respecting such uniformity in religion, as our venerable forefathers honestly aimed at, we may notice what it properly consists in. It is not unity in feeling and affection merely, but in mind and judgment also—in sentiment and profession. Uniformity hi religion is, as defined in the Covenant, agreement in doctrine, worship, discipline, and government. This is to be constantly sought after by men united in mind and heart, pledged to God and to one another; it is to be externally manifested, and to be diligently labored for, that it may be generally and universally prevalent. It is never to be viewed as impracticable. This was the main design of the convocation of the Westminster Assembly. In the Ordinance of the Long Parliament in virtue of which the “learned and godly divines” met, it is stated that the purpose was “the reformation of religion,” and the framing from the word of God of such a platform of doctrine, worship, and government, as that the churches in the three kingdoms might be united in the fullest concord, and might appear professing the same doctrinal truth, and conformed to the same order and modes of worship and discipline. The proceedings of the Assembly were taken in accordance with the vow of the Solemn League, which bound those who entered into it, to seek with all earnestness and diligence the same objects. The work of the Assembly, prosecuted for a period of more than five years, in compiling the Confession and Catechisms, and in completing the Form of Government and Directory for Worship, was undertaken and carried through under a conscientious sense of deep responsibility,—to lay a foundation for the fullest union and uniformity in the churches throughout future generations. 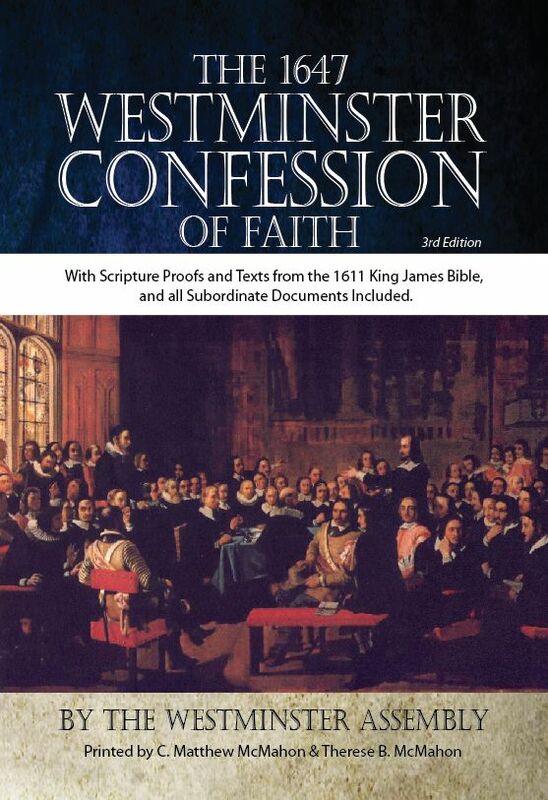 The result was that, through the Divine blessing upon their labors, the Westminster Divines completed more Scriptural and complete standards of doctrine, and worship and order, than have been produced by any other of the Reformed churches. These seem destined yet to be what an able advocate of Reformation principles well designates, “The Rallying Standard around which the scattered sections of the Protestant churches will yet be gathered.” We have manifold and strong grounds of hope that this happy uniformity will ultimately, to the widest extent, be realized. First.—Divine revelation exhibits a strong and stable basis for it. The Holy Scriptures are a perfect revelation of the Divine will, and an unerring and infallible rule of faith and practice. There is in them no sentiment or hint that diversity in matters of faith or practice in relation to duty, or the things of salvation, has the divine sanction. On the contrary, throughout the whole Scriptures, we are taught that a chief end of revealing God’s will to men was to bring them to the same views of God and His purposes and works—to unite their hearts in faith and love—to conform them to likeness to Christ—and separation from the world lying in darkness and wickedness—and to lead them to walk as lights in the world—professing and obeying the truth. The bright promise of the last times, when the light and power of Scripture truth shall be generally felt and acknowledged, is “The Watchmen on the walls of Zion shall see eye to eye—they shall lift up the voice together, and together shall they sing” (Isaiah 52:8). “The Lord shall be King over all the earth; in that day there shall be one Lord, and His name one” (Zech. 14:9). The real causes of sects and strifes and divisions in the church, are the same as those which lead to physical and civil strife and division. “Come they not hence, even of your lusts that war in your members?” These darken the mental eye so that the plainest truths of God’s Word are not perceived; and they alienate and embitter the affections, so that men are separated, and kept from meeting in love. Soon as these lusts shall be expelled by a gracious revival of the Spirit, and the all-enlightening and subduing power of the Bible shall be felt and owned, strifes will cease, differences will rapidly disappear, and in God’s light men will clearly see light. The churches have only to make it their grand aim to conform fully to the “measuring reed,” as it is applied to the “temple, the altar, and those that worship therein,” and then a blessed uniformity will no longer appear visionary, but will have become a joyful reality. Secondly.—Our Lord Himself declared His will both in precept and prayer that His people should be one in heart and judgment, and that this should be manifested in holy love, and uniformity in profession and practice. In His great priestly prayer, He prays for the whole church, and enforces the petitions with special pleas—”That they may be one, even as We are One—I in them, and Thou in me, that they may be perfect in one .. and that the world may know that Thou hast sent me, and hast loved them, as Thou hast loved me” (John 16:21-23). It has been sometimes said by those who speak of uniformity in doctrine and worship, that this petition of the Saviour, which will certainly be answered, is offered only for the invisible church, and that it is granted in essential unity in views and affection on fundamental doctrines and leading duties—while true believers may think and act differently on minor matters of faith and practice. It is enough to say that the unity prayed for is such, as when attained will lead “the world”—mankind everywhere, to faith in all the great doctrines of the scheme of redemption—the persons of the Trinity—the purpose of the Covenant—the office, mission, and atonement of the Saviour;—the Sovereign love of God to sinners through Christ—and to all its blessed effects in their conversion, sanctification, and final glorification. It is evident that these matters refer to the profession and practice of the visible church; and only as they are clearly manifested, may we expect that the church will become a power for the world’s conversion—and the Redeemer’s supreme authority will be owned as “One and His name one, throughout all the earth.” During His personal ministry, our Lord gave frequent directions to His disciples that they should avoid all that would separate them in principle and affection—that they should carefully maintain the truth in love—”the faith”—not diversified, but one—”once delivered to the saints,” and illustrate it uniformly, by acting as “the salt of the earth,” and shining as “the light of the world.” Speaking by the mouth of the Apostles, He explicitly commands His people, that they “all speak the same things, and be perfectly joined together in the same mind and in the same judgment” (1 Cor. 1:10). What words could more plainly enjoin a holy uniformity of faith and profession and practice? The authority of the church’s Head, and His continual intercession in Heaven, declare that on this His heart is intensely set—that this is the grand purpose which His exaltation in glory is designed to effect; and they give the amplest assurance that, in connection with the means Divinely provided, it will one day be fully accomplished. Have we the least reason to believe that a uniformity which the Savior’s authority and His work within the veil are engaged to effect, is impracticable, or that His people are not under obligations to labor for its general attainment? Thirdly,—The church in apostolic times largely enjoyed the blessing, and is an inspired model of the manner of its attainment, and of its precious fruits. After the plentiful effusion of the Spirit on the day of Pentecost, not only were the hearts of the primitive believers “knit together in love,”—and they had one faith and one baptism,—but they gave the clearest evidence outwardly of a holy uniformity in worship and life—”All that believed were together, and had all things common.” They “continued steadfastly in the Apostle’s doctrine and fellowship, and in breaking of bread, and in prayers” (Acts 2:42). Sacred unity and uniformity the Apostles, as they went forth on their heavenly commission, labored to establish wherever they went, and in all the churches to which they addressed inspired letters. It was the subject of their frequent and most weighty instructions, the matter of their most vivid representations, of their fervent prayers and most joyful hopes. They warned churches that there should be no divisions among them, and that they should separate from brethren walking disorderly, and not according to Apostolic tradition. The government of the church was one and common wherever churches were planted. It was Presbyterian, and neither Prelatic—a system of monarchical despotism,—nor Congregational—a system of popular democracy, under which three existence of Scriptural order and unity is an impossibility. “One Lord, one faith, one baptism,” was the motto of the primitive church in all lands in its normal condition, under the all-guiding and controlling influence of the “one Spirit.” The Apostle Paul’s deepest concern and most fervent prayers for the churches, both when among them and when absent, was that they might “stand fast in one spirit, with one accord, striving together for the faith of the Gospel” (Phil. 1:7). With fellow-Apostles, he often exhorted them to be “of one mind,” and warned them of the danger of the least error, and against all corruptions in worship, and sinful divisions. None who study aright the records of the Apostolic ministry, and the history of the primitive church, can doubt or deny that a chief object of Apostolic teaching and rule was to establish, under the influence of the Holy Spirit a blessed unity, as well visible as internal, and a happy uniformity, wherever Christianity spread, and Christian churches were established, throughout the world. It may only be added that glowing inspired predictions assure us that Scriptural uniformity will yet be universally attained wherever Christ’s name is made known, and His spiritual kingdom is established. In the time of promised future revival, the “two sticks” “shall be one stick in the Lord’s hand.” “There shall be none to hurt or annoy in His holy mountain.” “Ephraim shall not vex Judah, nor Judah envy Ephraim.” “Then will I turn to the people a pure language, that they may all call upon the name of the Lord to serve Him with one consent” (Zephaniah 3:12). With this redundance of the clearest Scripture evidence on the subject, may we not say that to deny that true spiritual union, evidenced by uniformity, is practicable and desirable, betrays lamentable ignorance of the Divine Word, disregard to the honor of Christ and to the triumph of truth in the earth, and practical unbelief in the clear predictions and precious promises of inspiration? It is noteworthy that there is no other subject on which writers, who make light of important doctrinal truths, and who advocate union in the church at any cost, manifest greater inconsistency than that of uniformity. Such writers as Baxter, Binnie, Dr. James Hamilton, [Thomas] Guthrie, and others, represent uniformity as not desirable, as not supremely important, that it does not insure unity, and that it is absurd and mischievous to insist upon it; while yet they speak of dissensions and divisions in the church, as originating from trivial causes, always inexcusable, as a hindrance to the progress of the Gospel, as unfeeling and imperiling the church—a cause of rejoicing to the enemies of the truth, and offensive to God. We had designed, by adducing quotations from these writers, to show that their own statements not infrequently neutralize and confute each other, and that their pleas against Scripture uniformity tend to prevent true union in the church, and to increase and perpetuate the divisions which they profess to deplore; but for the present we forbear. In conclusion, we present briefly a few practical hints in relation to our own duty in this matter. Fully believing that the uniformity for which our venerated fathers faithfully contended, and the platform which they clearly exhibited, is attainable, and that it will one day be surely reached, we should regard ourselves called to a closer study of the Word; and we should, by much fervent prayer for ourselves and others, seek the promised Spirit, to lead to a clearer understanding of it, and to heartfelt submission to its authoritative declaration. We are assured by the infallible Word of God, “Ye shall know the truth, and the truth shall make you free,” and that, when (he Comforter is come, “He shall lead us into all truth.” Amidst the most cheering promises for the future day of enlargement and blessing of the church is that which declares, “Every one shall not say to his neighbor, Know the Lord, for they shall know Him from the least to the greatest.” These precious assurances warrant the conclusion that such Divine light will yet shine upon the inspired Word, and illuminate the understandings of God’s people, that the clouds of error will be dispelled, points of difference will be cleared and unity of heart and spirit greatly promoted. A duty specially incumbent in the present day is to feel and maintain the perpetual obligation of the Covenant of our fathers, which binds those who recognize it to seek Scriptural uniformity in the churches, on the grounds of the Westminster Standards. This sacred vow is obligatory on the Protestant churches in these lands, as well as upon individuals and upon persons of all ranks and conditions in these nations. As men can never free themselves from the oath of God, we should esteem it alike our privilege and our duty to regard it at all times as defining our relations to civil society, and to sister churches, and as a clear directory for our whole conduct. We should lift up and unfurl openly the banner given us to display because of truth. We should hold forth the pattern of Scriptural union and uniformity, and do far more than we have hitherto done to make it extensively known, and to have it generally recognized. The only true and safe way of union is based on the platform of Scriptural uniformity; while that which is framed on allowing diversity in doctrine, and differences in government and worship, is a mere human contrivance, and its effect is to sanction and perpetuate divisions, and to mar the prospect of an ultimate happy union in the church of Christ. Our duty is, furthermore, to labor actively and perserveringly to promoted Scriptural uniformity, whatever opposition and difficulties we may have to encounter. We should neither be deterred in this work by present appearances, nor by thinking its attainment impracticable. There is no weaker or more feeble objection urged against the faithful maintenance of great principles,—such as national religion or the doctrine of a Scriptural civil Establishment of religion,—than that which relegates the question to the Millenium, alleging that not till then is there any necessity to take it into consideration. If it can be clearly shown that the principle is fully displayed in the Divine Word, then it is worthy to be embraced and held fast; if solemn vows which the nation and the church entered into pledge us to seek it, then we can not refuse to prosecute this end, but at the peril of being “unfaithful and perfidious” in God’s Covenant; and if the happy consummation will be reached at the Millenium, this can only be by the friends of truth working strenuously, and everywhere, for an end so desirable. It has been justly said that Christians may even now, by walking in the Spirit, ante-date the Millenium. So ought we ever to make it apparent that our grand aim is that there shall be “One Lord, and His name one throughout the earth.” “Speaking the truth in love,” our fixed purpose, always pursued, both as churches and individuals, should be to “grow up into Him in all things, which is the Head, even Christ.” (Eph. 4:15).